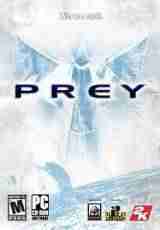 In Prey, players enter a living spaceship which enslaves alien races and devours humans for lunch. A unique twist on the first person shooter genre, Prey features such innovations as the ability to walk on walls, manipulate gravity and perform a "spirit walk" by leaving your physical body behind. Designed by Human Head (under the direction of 3D Realms), Prey features full online support for up to eight players, utilizing the games play innovations for unique multiplayer experiences. Te gustó este juego? pero te interesa descargar mas juegos de PC Te invitamos a que pruebes descargar fruit machine mania, aparte de juegos de accion podrás encontrar muchas más como: juegos de aventuras para la PC y siempre disponible en nuestro sitio web de GamesTorrent.